Aqaba is the only coastal city in Jordan, an otherwise landlocked country. 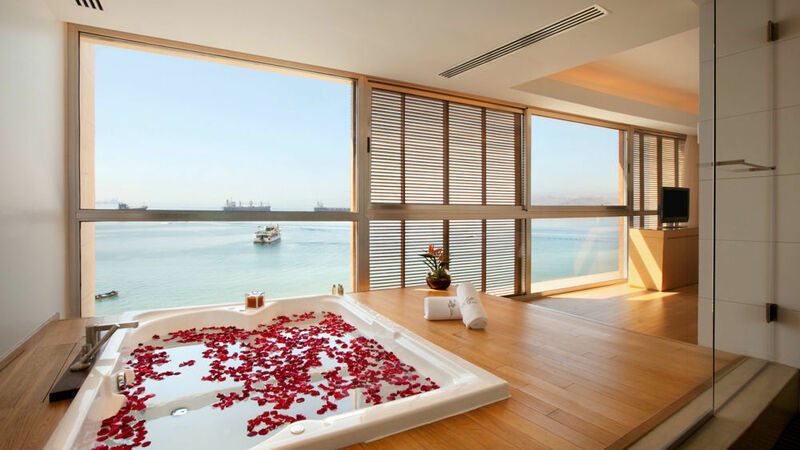 But not every country can boast a city with such a beautiful setting as Aqaba, with the red mountains of Wadi Rum in the background and the Red Sea in the foreground. 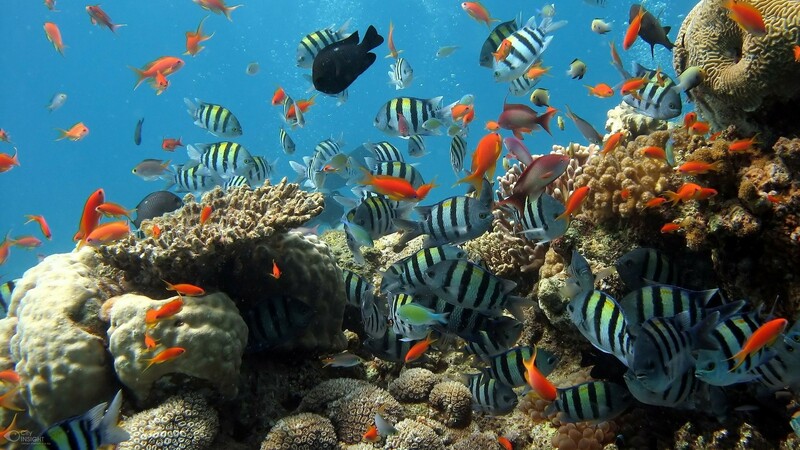 Aqaba is a resort city and a port city, with tourism a major industry and undergoing a major expansion with new luxury neighborhoods, attractions, and hotels opening. 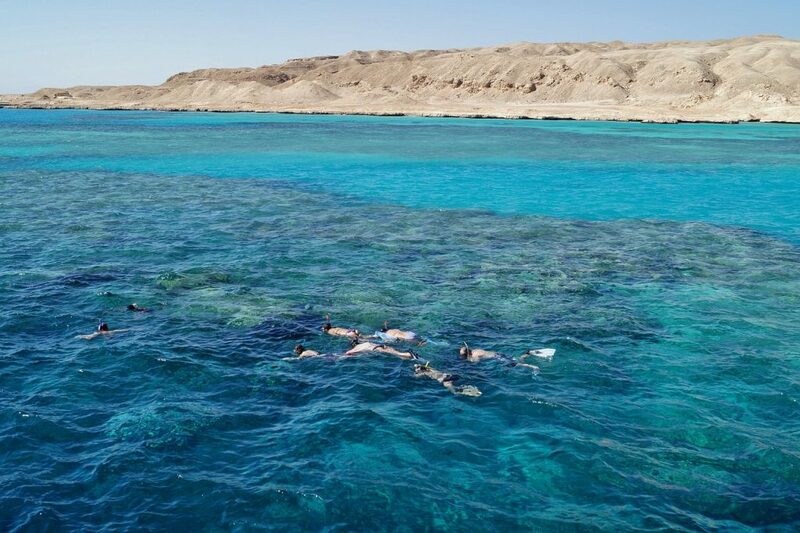 The main attraction of Aqaba is, of course, its Red Sea coastline, and the beaches, diving, watersports, and coastal resorts, that come with that. But the city’s center and markets are becoming increasingly attractive. 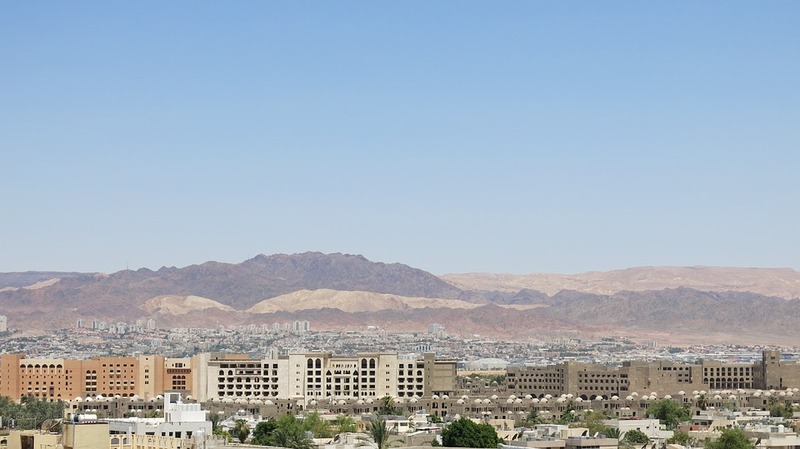 Aqaba’s location, close to Wadi Rum and Petra, and the border with Israel and Egypt make it a popular base for touring the region, with trips available to a host of destinations. Year-round sunshine and warm weather just add to the attractiveness of Aqaba as an ultimate resort city. Aqaba sits at the northern tip of the ‘Gulf of Aqaba’, the northern-most part of the Red Sea, at the crossroads of the continents of Asia, Africa, and Europe. The city has a rich history, having been inhabited for over 4000 years. The city’s airport, King Hussain International Airport sits a few kilometers north of the center, near the Arava Border Crossing with Israel. In the coming years, Aqaba is set to transform into an even more significant resort city, with new mega-projects such as Tala Bay, Ayla Oasis, Saraya Aqaba, and Marsa Zayed, bringing new hotels, attractions, and accommodation, and growing the population of Aqaba significantly. Among the new attractions under construction in Aqaba are an 18 hole golf course, theme parks, lagoons and leisure complexes, and shopping malls. Aqaba itself is a center of beach leisure. Large resorts line the Red Sea, from the city center, and south along the eastern tip of the Gulf of Eilat including the Tala Bay resort. 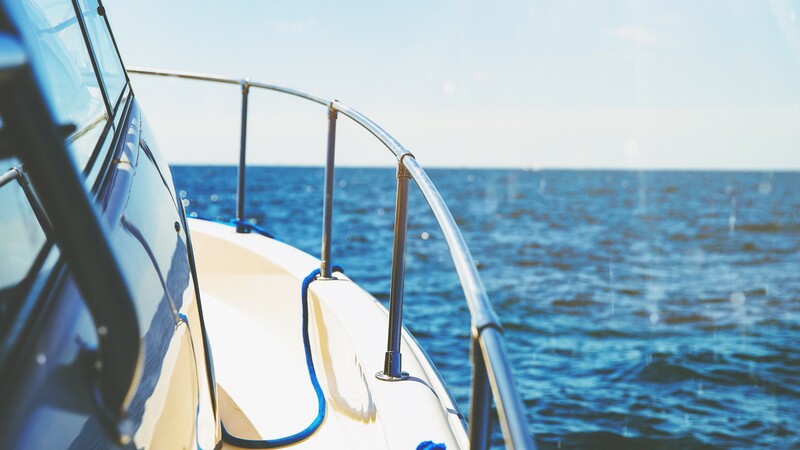 Alongside the resorts are beaches, most of which are private, charging a modest entry fee, diving centers, watersport activity centers, and restaurants. The city has become a very popular destination for European tourists looking for winter-sun with flights to Aqaba Airport from Europe, and low-cost flights to Israel’s Ovda Eilat Airport and shuttle services, transferring visitors across the border. Aqaba is also established as a regional center, and tours from Aqaba are available to Petra, Wadi Rum, Jerusalem, the Dead Sea, Bethlehem, Sinai, and more. All of these sites can be reached in a one day trip from Aqaba.